After the appearance of a fireball and detonations, a stone of 188lb was seen to fall, and another of 9lb was found, F.H.Snow, Science, 1890, 16, p.38. Analysis, G.F.Kunz and E.Weinschenk, Tschermaks Min. Petr. Mitt., 1891, 12, p.177, Am. J. Sci., 1892, 43, p.65. Mineral analysis, olivine Fa23.8, orthopyroxene Fs20.5, K.Keil and K.Fredriksson, J. Geophys. Res., 1964, 69, p.3487. Mineralogy and chemical analysis, 21.22% total Fe, P.R.Buseck et al., GCA, 1966, 30, p.1. Kr and Xe isotopic composition, K.Marti, Earth Planet. Sci. Lett., 1967, 3, p.243. Volatile trace element abundances, R.R.Keays et al., GCA, 1971, 35, p.337. Ni and Ir contents, O.Müller et al., GCA, 1971, 35, p.1121. Uranium content, D.E.Fisher, GCA, 1972, 36, p.15. Partial INAA, R.A.Schmitt et al., Meteoritics, 1972, 7, p.131. Ga and Ge contents of metal phase, C.-L.Chou and A.J.Cohen, GCA, 1973, 37, p.315. Magnetic properties, M.W.Rowe, Meteoritics, 1975, 10, p.23. 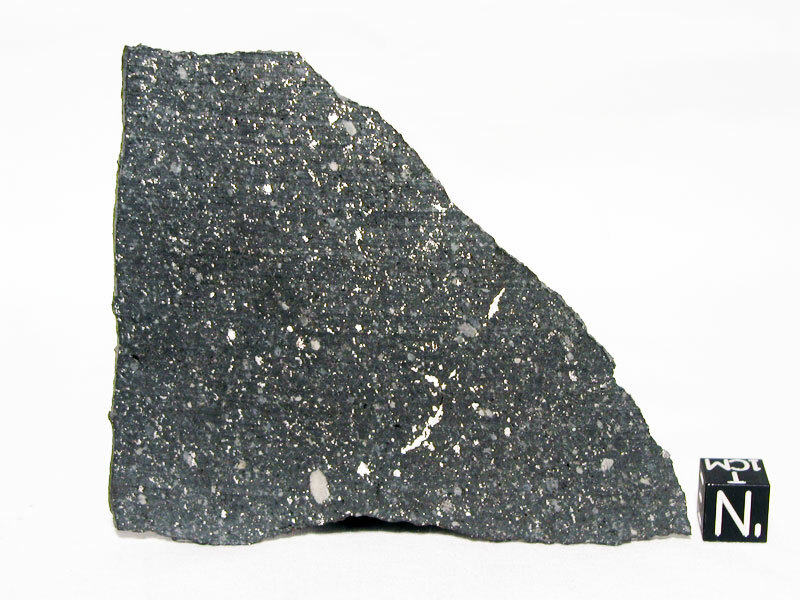 Possibly a fragment of an Apollo asteroid, B.J.Levin et al., Icarus, 1976, 28, p.307. Fluorine content, R.O.Allen,Jr. and P.J.Clark, GCA, 1977, 41, p.581. Metallic microstructure and thermal history, B.A.Smith and J.I.Goldstein, GCA, 1977, 41, p.1061. Infrared photometry, albedo, JHK colors, M.Leake et al., Meteoritics, 1978, 13, p.101. U-Pb isotope study, M.C.B.Abranches et al., Earth Planet. Sci. Lett., 1980, 46, p.311. Study of vugs, E.Olsen, Meteoritics, 1981, 16, p.45. Shock classification, contains maskelynite, R.T.Dodd and E.Jarosewich, Earth Planet. Sci. Lett., 1979, 44, p.335. Ar-Ar dating and cooling rate calculation, D.D.Bogard and W.C.Hirsch, GCA, 1980, 44, p.1667. Study of shock hardening of kamacite and taenite, P.Lambert et al., LPSC, 1981, 12, p.583 (abs.). Study of shock-induced trace element mobilization, T.M.Walsh and M.E.Lipschutz, GCA, 1982, 46, p.2491. Intrinsic oxygen fugacity measurements, R.Brett and M.Sato, GCA, 1984, 48, p.111; see also, LPSC, 1983, 14, p.69 (abs.). Gas permeability, T.Matsui et al., Meteoritics, 1986, 21, p.109. Study of emission spectra during TL, J.A.Strain et al., Earth Planet. Sci. Lett., 1986, 77, p.14. Dielectric properties, J.B.Garvin et al., LPSC, 1988, 19, p.377 (abs.). TL data, M.Haq et al., GCA, 1988, 52, p.1679. Study of meteoroid orbit, J.Oberst, Meteoritics, 1989, 24, p.23. Spectral study, black chondrite, D.T.Britt and C.M.Pieters, Meteoritics, 1991, 26, p.279; GCA, 1994, 58, p.3905. Oxygen isotopic composition, R.N.Clayton et al., GCA, 1991, 55, p.2317. Analysis of carbon concentr., J.Makjanic et al., Meteoritics, 1993, 28, p.63. Boron data, M.Zhai and D.M.Shaw, Meteoritics, 1994, 29, p.607; and isotopic composition, M.Zhai et al., GCA, 1996, 60, p.4877. Petrographic, isotopic and chemical study of cristobalite- and tridymite-rich igneous clast, J.C.Bridges et al., Meteoritics, 1995, 30, p.715. Physical properties, bulk density and porosity, M.Terho et al., Studia Geophysica et Geodaedica, 1993, 37, p.65; see also, D.T.Britt and G.J.Consolmagno, LPSC, 1997, 28, p.159 (abs. ); see also, C.M.Corrigan et al., MAPS, 1997, 32, p.509; G.J.Consolmagno and D.T.Britt, MAPS, 1998, 33, p.1231; D.T.Britt and G.J.Consolmagno, MAPS, 2003, 38, p.1161. Light noble gas contents and exposure age, A.Patzer et al., LPSC, 1999, 30, abs. #1145. 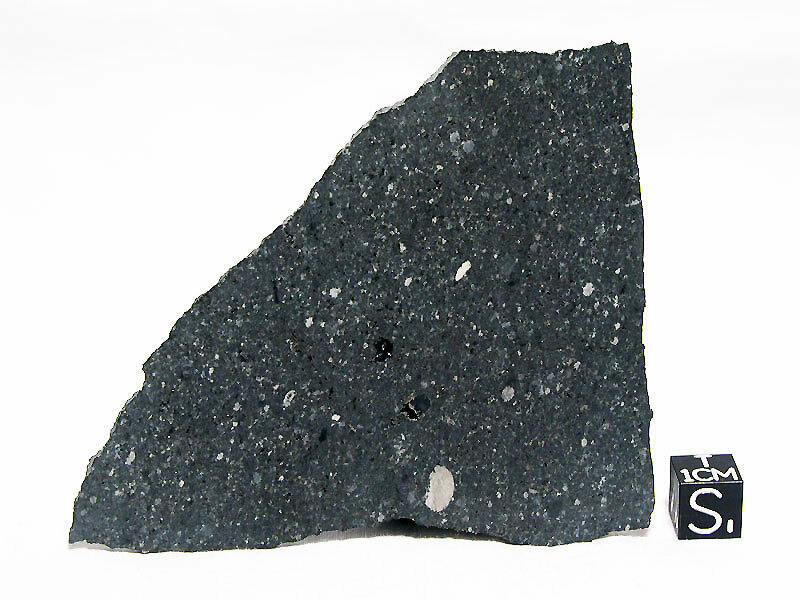 Abundances of highly siderophile elements, M.F.Horan et al., LPSC, 2001, 32, abs. #1577. Nitrogen and Xe isotopic composition of metal and silicate fractions, K.Marti and K.J.Mathew, LPSC, 2002, 33, abs. #1132. Magnetic susceptibility, P.Rochette et al., MAPS, 2003, 38, p.251.